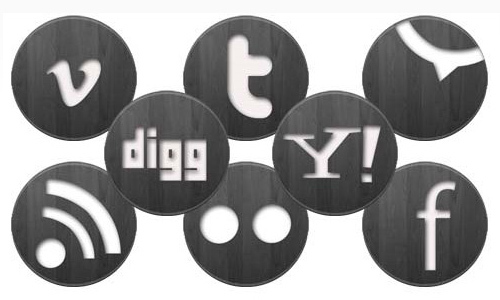 It’s been a while a now since we last posted a collection of social media icons. We are pretty sure that there has been a lot of new and latest designs and variety of styles for this category. 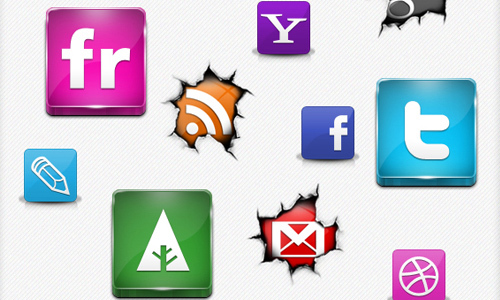 That is why we compiled and collected again some of the very best and new social media icons out there. We are very happy to share with you these great new sets that you can use for your websites. 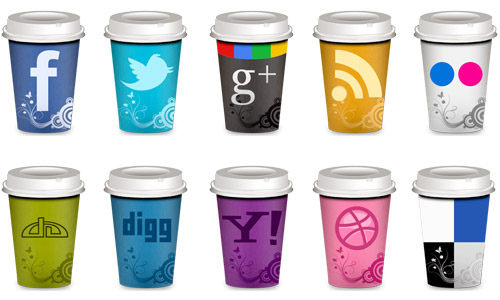 This is a wide range of different kinds of social media icons that will fit virtually to any website design and style. 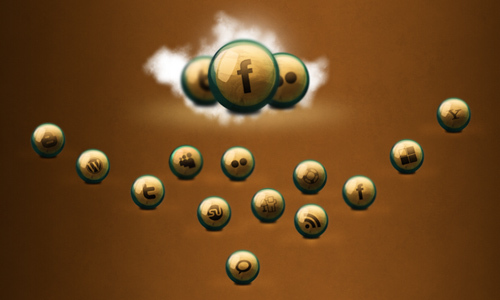 Here is A New Collection Social Media Icons that will probably help increase your site visitors because they can’t help but click these eye-catching icons on your web page. Enjoy! 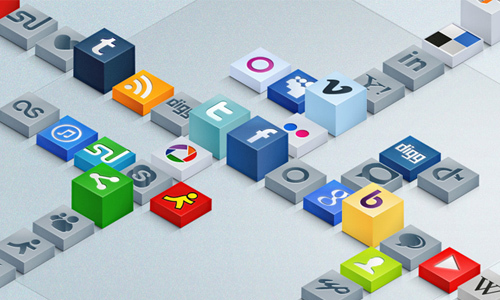 A slick 3d social media icons in different sizes and comes with free PSD file. 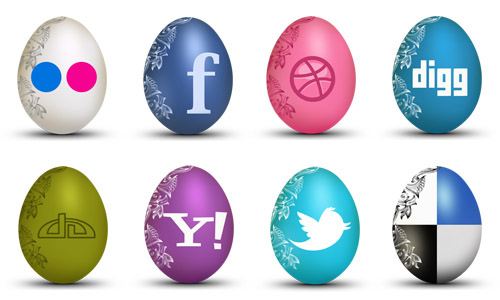 A set of egg-shhaped social icons that you can download for free. 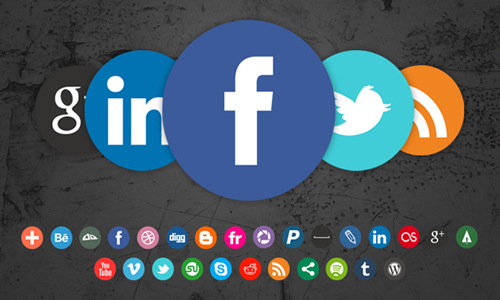 This pack consists of 25 elegant social networking icons which are available in the following sizes: 256 x 256px, 128 x 128px, 64 x 64px and 32 x 32px. The file format is available in .PNG and compressed .ZIP. This pack contains 3 sets of social icons of which each set is composed of 49 handcrafted social icons making a total of 147 icons all in all in a pack. 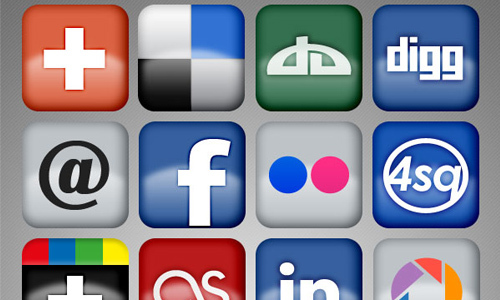 There are a total of 75 social icons included in this pack that you can download for free. 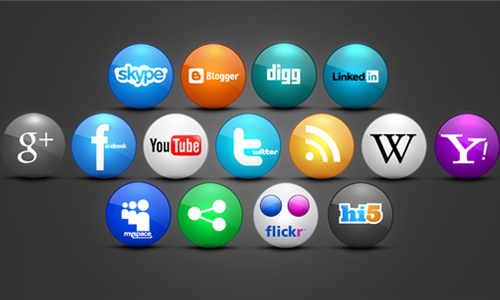 This set includes 12 rounded shaped social media icons with a glossy effect of which all icons are available in 128px and 32px resolutions. 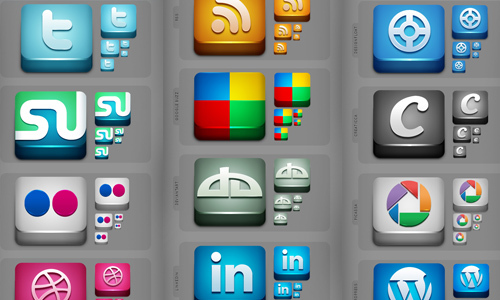 There are a total of 30 social icons included in this set which are all made in Adobe Photoshop. 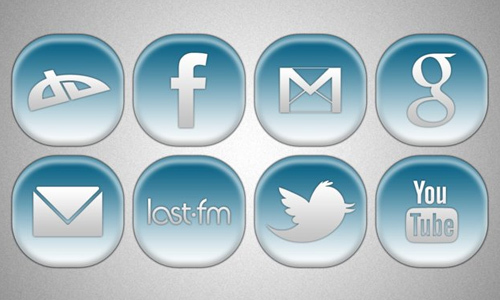 This set of social media icons are free to download and use for any purposes. 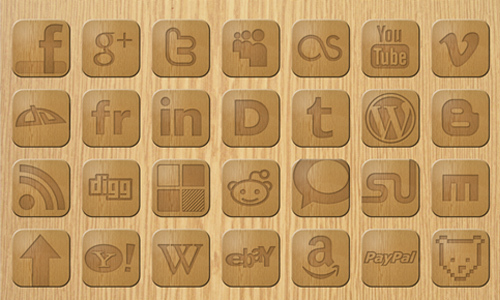 This is a set of dark wood social icons which include facebook, twitter, rss, vimeo and etc. 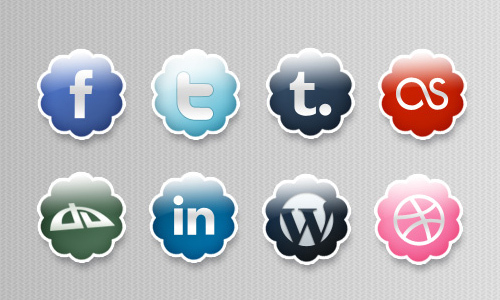 This is a set of social network icons inspired by the iCloud icons. 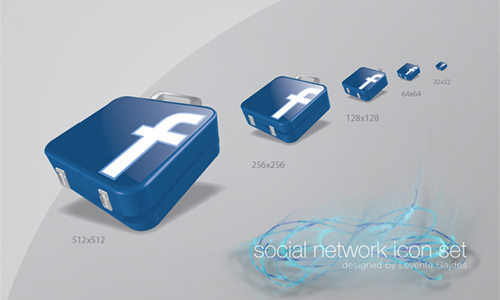 These are two-dimensional social network icon package which are available in 512×512, 256×256, 128×128, 64×64, 32×32 pixels resolution. A set which contains a total of 16 icons in three different sizes (128px, 64px, and 48px). This set includes a total of 234 icons. 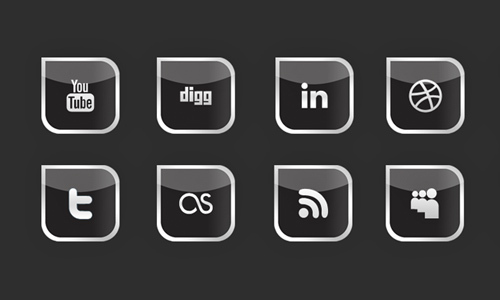 A set of 8-bit social media icon blocks. 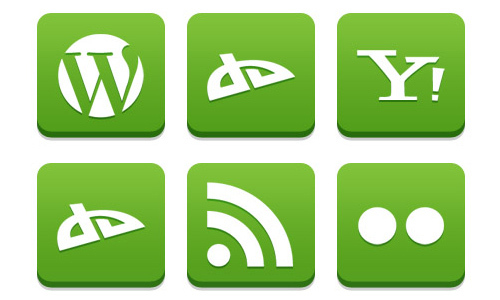 This set of icons was made in illustrator of which is available in .ai and .png file formats. 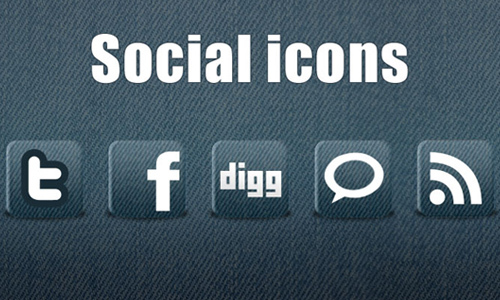 This set contains 5 social icons with a jeans texture. 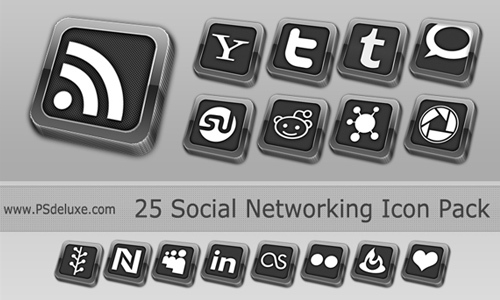 A set of 31 social icons in 3D and lighting up effect of which the icons have a resolution of 256px, 128px, 64px and 32px. 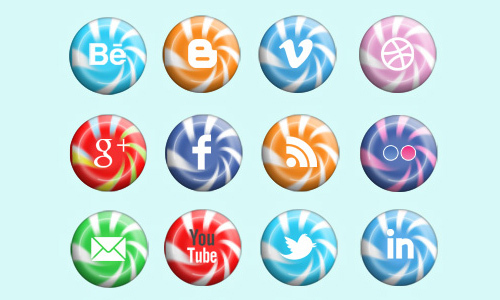 A set of candy social media icons available in three different sizes – 32 x 32px, 64 x 64px and 128 x 128px. A set which includes 38 high quality icons in transparency PNG format (64 x 64, 32 x 32). 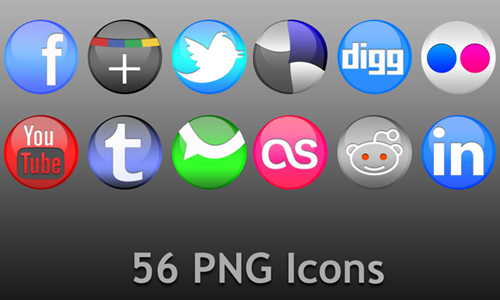 There are a total of 70 icons included in this set of which are available in 64 x 64px sizes. 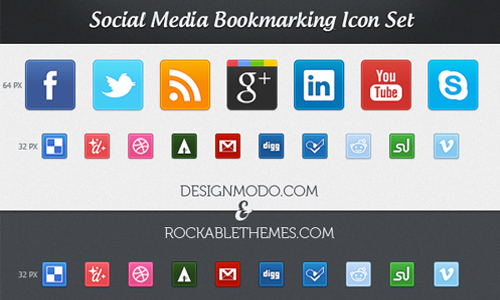 This set includes 10 simple social icons in .png and .ico file formats. 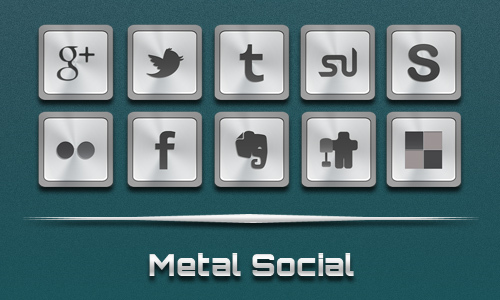 Another set of social media icons that you can download and use. 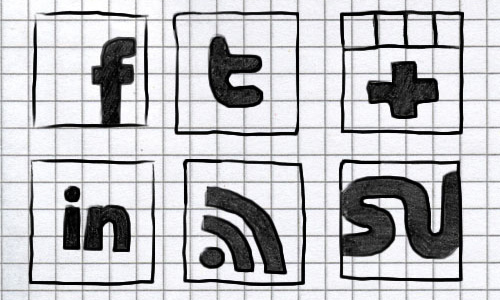 This is a set of free hand-drawn social icons. 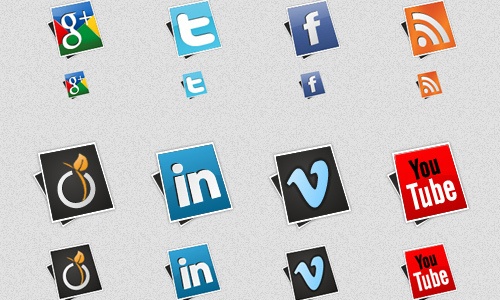 A set of simple social media icons available in AI, PSD and CSH file formats. Another free to use icon set. 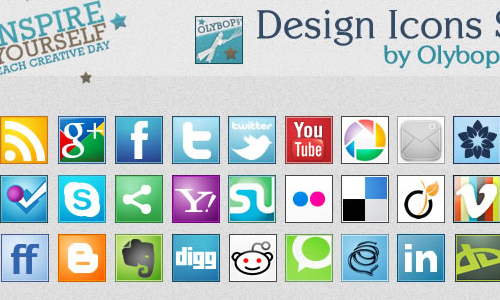 A free to download and use social icons. 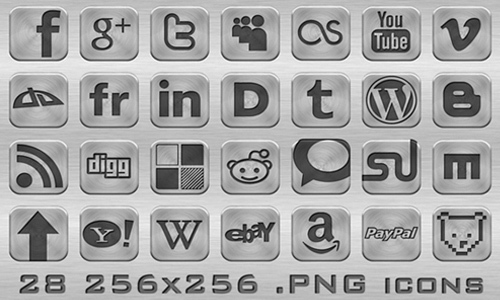 This set contains 27 different social media icons in 500×500 pixels and all are available in PNG file format. 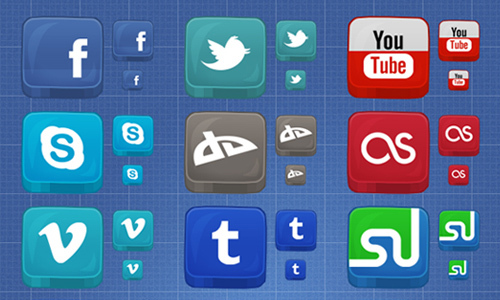 This set contains 8 blue social networks icons which are available in png file format. 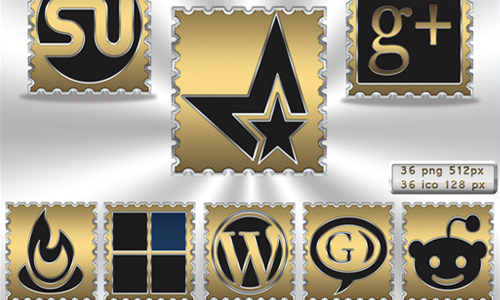 A set composed of 12 web icons available in 256 x 256px resolution. 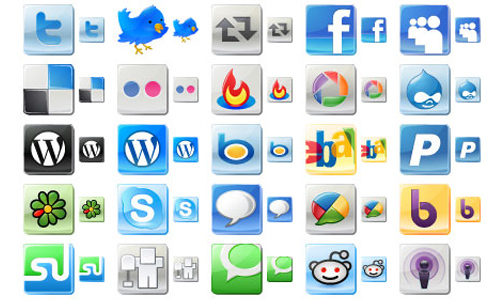 A pack of social media icons available on PNG file format. The resolution is available in 32 x 32px, 64 x 64px and 128 x 128px. A pack whic contains 36 icons in png format and the resolution is 512 x 512 pixels. A set composed of 56 icons in PNG file format of which the sizes are available in 64 x 64px, 128 x 128px, 256 x 256px and 512 x 512px resolution. 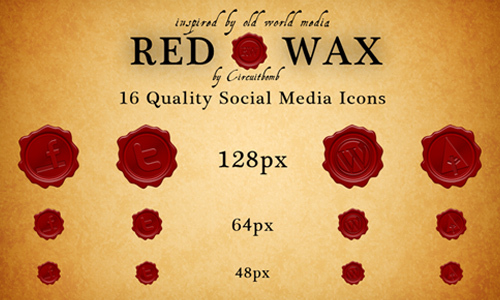 A set of 16 icons available in psd file format. 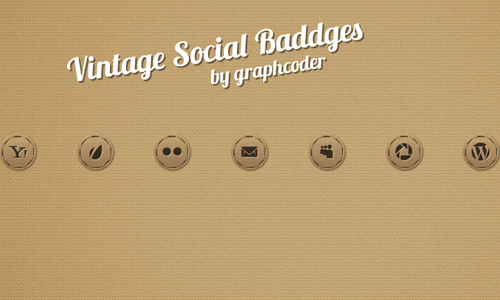 Another pack of social icons. 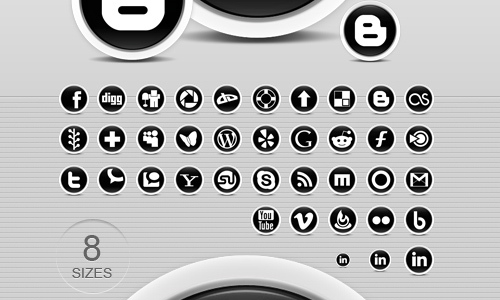 This pack consists of 68 unique icons representing social services such as Facebook, ICQ, Twitter, Yahoo, YouTube, Google, Apple, AOL, MSN, and more. 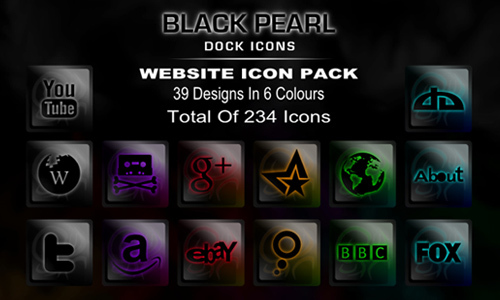 A set which includes 28 icons in .PNG file format and all are available in 256 x 256px resolution. 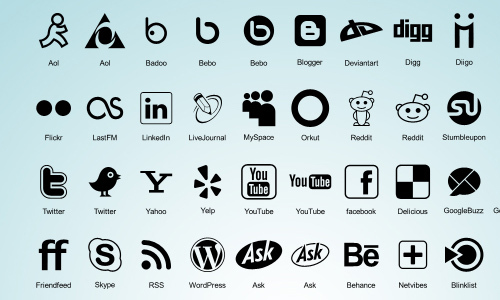 A set of 13 social icons available in PSD and PNG file formats. This set consists of 36 PNG icons available in 8 sizes (16×16, 24×24, 32×32, 48×48, 64×64, 96×96, 128×128, 256×256, 512×512 pixels). 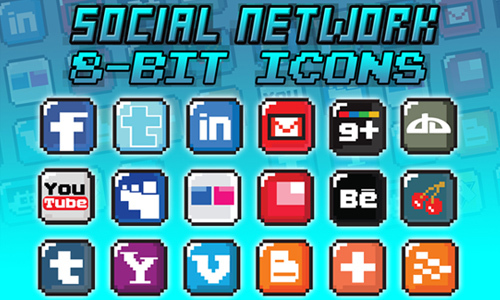 A pack of social icons available in 32 x 32px, 64 x 64px and 90 x 90px resolution. Some really really good offerings here! there is a lot of neat styles to choose beetween here. Thanks for mentioning my Rounded & Glossy Icons. I appreciate that they found the way in your collection. It’s a nice and useful collection by the way. Nice work, helped me solve a problem with Google “compliant” icons needs for a client. 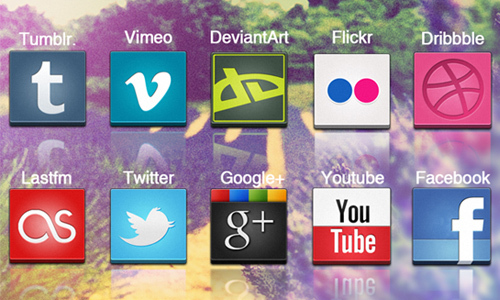 This is a really awesome set of icons. I will defiantly be using one of the sets for my website instead of what I have right now. Thanks for the share! I have been looking for icons for my site and these are the best I seen out of 15 to 20 different web pages…this is simply awesome art/designing!